Romanian children, in the past, have been subject to worldwide attention. This is understandable. The Ceausescu-era orphanages (perhaps thankfully) seemed uniquely horrific in their tormented youngsters, squalid accommodation and often inhumane staff. It’s a moot point as to whether conditions in such institutions have radically improved. The Romanian Government declares yes, while undercover operations often seem able to prove no. 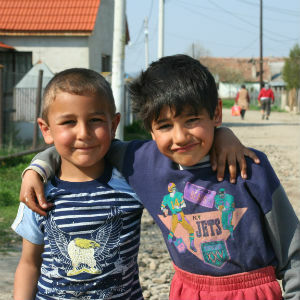 The children of Romania, however, almost always defy this stereotype. Whether one is visiting remote gypsy villages or joining a church for a morning service, the children one meets are often cheerful and happy, making a lot from very little, and in general a joy to have around. School for such children begins in earnest at the age of 7, though is often preceded by a “gradinita” from the age of 4. Once children reach the age of 14, they must decide as to whether to attempt the exams necessary for high school, to which they may need to travel some distance, and where they will continue until the age of 18. 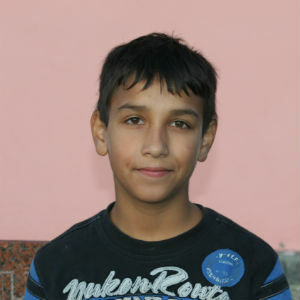 Romanian Ministries has been delighted to get involved in numerous children’s works, with some of them presented below. 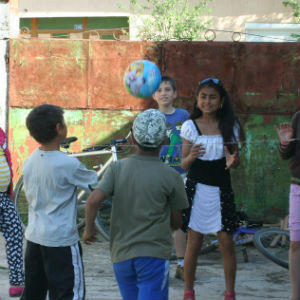 In a way perhaps difficult for us in the west to understand, the majority of Romanian towns and cities have their own contingent of street children. These are normally divided into three categories. The first are those who are permanently on the streets; the second those who may be on the streets for a few weeks before returning home; and the third those who beg on the streets by day and return home each night. They are aged anything from five upwards. Anyone who wishes to observe something of the travail of the life of a street child is invited to log on to the website youtube and watch “children underground”, a 2010 documentary on the lives of 5 street children in Bucharest. The street child’s plight is both physical and emotional. Observation of them for any length of time sees them pulling out an aurolac bag, aurolac being a glue-like substance which, when inhaled, alleviates hunger pangs and numbs the wounds of the heart. Regarding emotional damage, American John Kachelmyer in his book Odyssey of a Romanian Street Child identifies the sociopathic tendencies of street children. Their superficial charm masks a complete inability to engage emotionally with others on any kind of meaningful level. Such, perhaps is hardly surprising, but may all too easily result in heartbreak for those who work with them. Such labours, however, are the calling of Alina Fizite. She is a Romanian woman in her early thirties, who, after thoughts of India and work with street children there, has turned her attentions to her home town of Arad. There, representing Metanoia Baptist Church, she regularly visits the state-run refuge for street children, conducting bible studies there every fortnight. She also arranged for three of the children to attend a summer camp, which she attended with them. It’s great to sense her heart for this work, and provide some financial assistance. Our interest in this area stemmed from a slightly bleary-minded conversation on the way to catch an aeroplane to Romania one morning in 2012. Our Romanian driver, a much-loved Christian, commented on how when visiting his young son in a Romanian hospital, nurses had informed him that on average two babies were being abandoned in that one ward every week. This prompted much research on the matter, and the results were little short of harrowing. Reports reveal that as recently as 2004, 9,000 babies were being abandoned in Romania every year (25 every day). Many remain in hospital for the first two years of life, sometimes losing their cry-reflex as they do so due to a lack of attention. Many are Roma children, handed over, as a gypsy pastor in Bristol ruefully explained, simply as a result of their parent’s financial desperation. 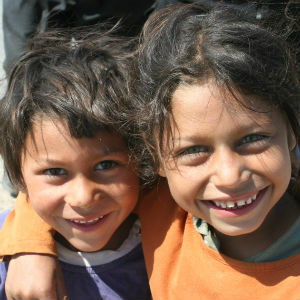 A home for such children, run according to Christian principles, is found in the village of Beleu. Twelve boys are raised there under the watchful eye of home manager, Sorin, and his staff. The boys are taught the gospel, encouraged to sing Christian songs, and show marvellous kindness at times to each other. A new admission, 5 year old Sammy, was brought in during our visit in Spring 2012. The gentle way in which the other boys welcomed him, offering him a toy to play with and showing him indoors, will remain long in the mind. We make a donation to the home on each of our visits to Romania. Toys and clothes are also welcome, and can be packaged and transported to Beleu by a Bristol firm. As stated elsewhere, Romanians who wish to minister to Roma are few and far between. One of them, however is Raluca, whose husband was known to us through his work in Bath and occasional attendance of our Romanian Baptist Church here in Bristol. 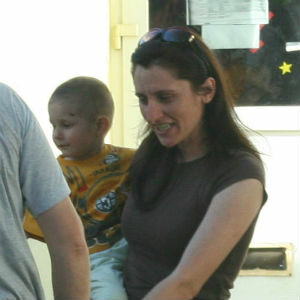 Raluca lives in the village of Zarond, and had felt the need for something to be done for its many gypsy children. Making use of a local hall, she now runs three youth groups a week for children of different ages, ably assisted by her mother. Raluca’s diminutive size led some of us to inquire as to how she managed to maintain discipline in the groups, knowing full well gypsy children and their tendency to rowdiness. We were confidently informed that her vocal powers outperformed people’s expectations, and not wishing to risk an immediate demonstration, left the matter there! 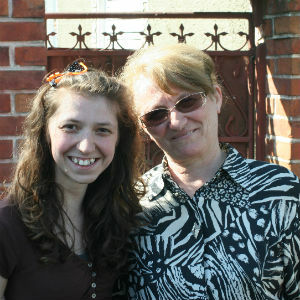 Raluca and her mother had long hoped to organise a Holiday Bible Club for the children. Expense and difficulties in finding a suitable venue had frustrated such desires until now, and following their identification of a nearby park as a location, Romanian Ministires was delighted to provide the funds, and look forward to receiving a report on how things go! Anyone who has visited Romania during the summer and experienced its Sahara-like temperatures will understand why Christian camps, often held in very rural or mountainous locations, are so popular. They’re certainly a wonderful form of outreach to children. Many of the youngsters attending will never go on holiday with their families due to a lack of money, which ensures the camp visit is all the more special. Normally held over a week, they contain a combination of madcap outdoor activities, together with daily meetings and evangelistic messages. And the Lord often works in many hearts, conversions occur and lives are changed. 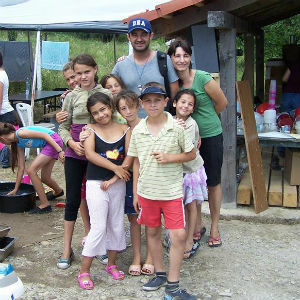 In 2013 Romanian Ministries paid for 12 children to attend such camps (some of them pictured). Our prayer is that the children we have come to know and to love will receive the most precious of all gifts and knowledge – that of salvation through our Lord Jesus Christ. 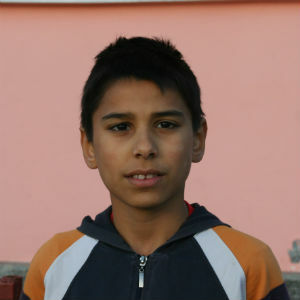 One of the boys from the Home for Children Abandoned in Infancy in Beleu.